Bharat Sanchar Nigam Limited [BSNL] was incorporated on 15 September 2000. BSNL is India's oldest telecom communication service provider and It has wide coverage throughout India except for Mumbai and New Delhi, which are managed by Mahanagar Telephone Nigam (MTNL). If you are subscriber of BSNL Prepaid or Post-paid then this post is for you. You will get information about BSNL Internet Balance, Data Balance, and SMS Balance by BSNL USSD codes. 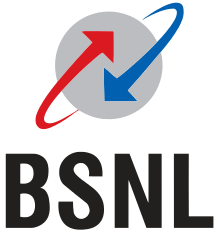 BSNL Balance Check Code USSD List to Know 2G/3G/4G/GPRS Internet Data Balance, Main balance, SMS balance and Other Service. Every day we are getting new offers from BSNL like free recharge offers, 2G internet balance, 3G internet balance, special net packs, balance transfer offers then you can check by using USSD codes.